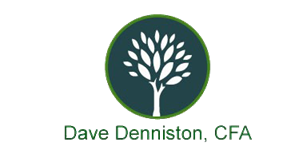 [Editor's Note: This is a guest post by Steve Wisinski CPA, CFE, MAFF. This post was placed with his permission (and suggested by him). When analyzing the cost of a physician practice for our clients, we normally segregate those costs into three different “buckets”: revenue generators, revenue enhancers, and revenue preservers. 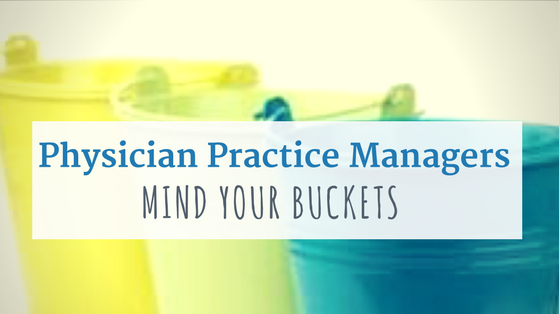 Each bucket performs unique functions and has a differing effect on the practice's bottom line. Here’s a short analysis of what goes into each bucket and a helpful suggestion maximize their effect on your bottom line. These costs are directly related to the generation of revenue; costs related to employing physicians, physician assistants, etc. These costs have a direct material effect on the amount and types of revenue generated. While there are many ways to constrain these costs (limit salaries, streamline malpractice insurance, offer less benefits) one unexpected way to increase the bottom line is to increase the expenses and hire! We commonly see practices where physicians are stressed about their bottom line so they feel it is important to keep costs on a shoestring budget, see as many patients in a day as they can, and string their waiting list out as far as possible. These are all short-sighted ways to limit their growth potential and their bottom line. Instead, bring on another physician that can grow their practice and share in your overhead. Have them see some of your patients to cut down on your wait time. Even if you wait time is cut from two months to two weeks you will still be able to see all of the patients you see now. But now you will be capturing that revenue you were never going to get to. Those revenue dollars may not be in your “column” but you will benefit by raising the revenue of the practice and sharing more overhead. A rising tide lifts all boats! After providing services, billing is the most important function of a medical practice. The simple rule to live by is the shorter the time to wait for payment, the more money you will make. Make every effort to make the billing and collection process as smooth and efficient as possible. Take suggestions from your billing staff/billing company on how you can make the process efficient. Common items are write legibly (#1 complaint! ), prepare robust notes, and include all relevant information. This will allow the biller to get the submitted bills paid as quickly as possible and also let them bill the most accurate codes. Finally, this will cut down on rejections. Corrections and rebilling are inherently costly and need to be minimized. These costs are essentially the remainder: office staff, occupancy costs, and related items. While these have no direct relationship to generating or enhancing revenue, they are still a crucial function in the maximization of income. Patients want a doctor with a nice, clean office. They want to be treated kindly and respected by the office staff. They want to go through the process efficiently and to feel their time is valuable. These can all be done (or undone) by the presentation of the office and the care given by the office staff. Be sure to hire and manage your front staff carefully. It doesn’t matter how hard of a worker an up front staff member is, if they don’t get along with the patients they can’t be there. ShindelRock is a Metro Detroit accounting firm offering a broad array of services to individuals and business owners, including accounting, auditing, tax, litigation support, medical practice management and business consulting. For more than twenty years, its team of accounting professionals has been recognized for understanding the financial and management needs of physician practices and a commitment to superior client service.